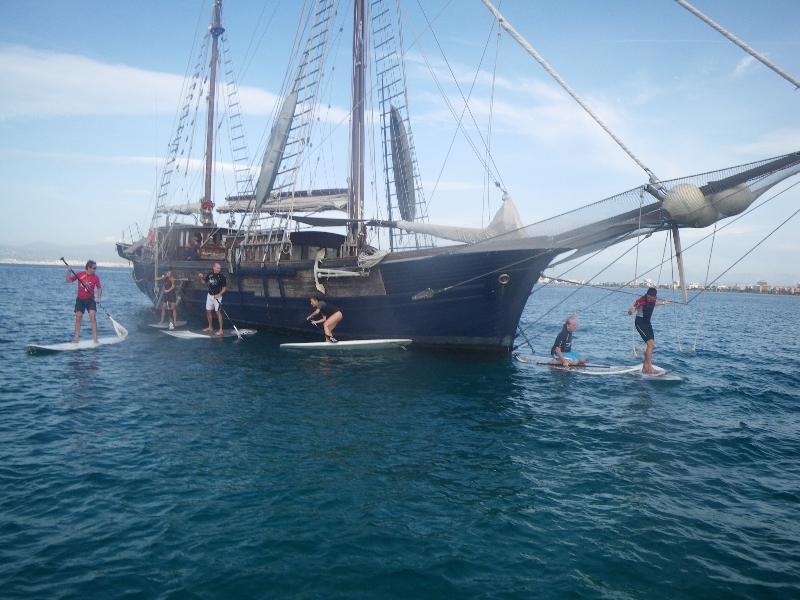 Stand up paddle Surf Trip: Go out with your fellow hikers on Paddle Surf, visit caves and enjoy the calm waters of Mallorca. 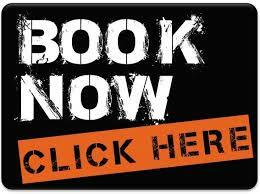 We come to your boat, you’ll love! 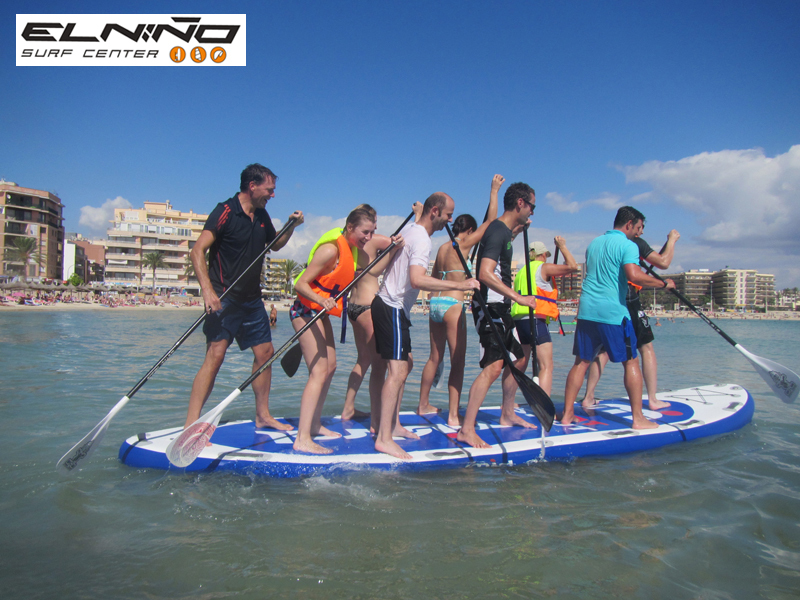 Fun Activities: we organize team races, relay races and in tandem, all about your paddle surf fostering the relationship with your classmates. 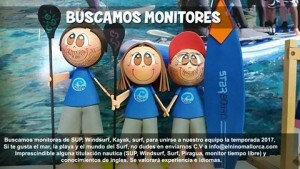 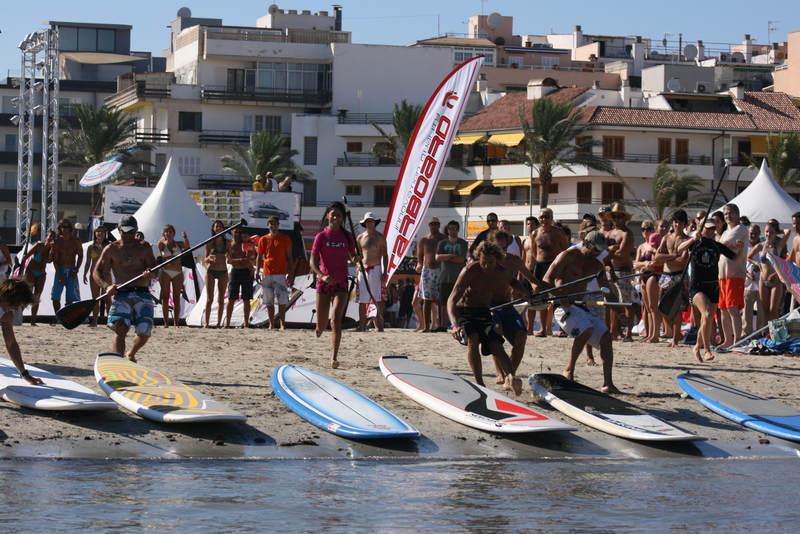 Big SUP: New this year is a Paddle Surf Giant for 10 places. 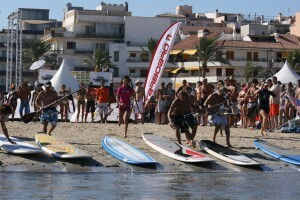 Surf with your teammates, or do team races with 2 Big SUP’s. 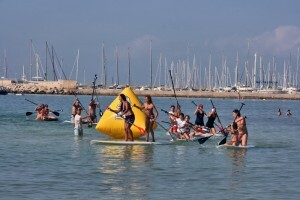 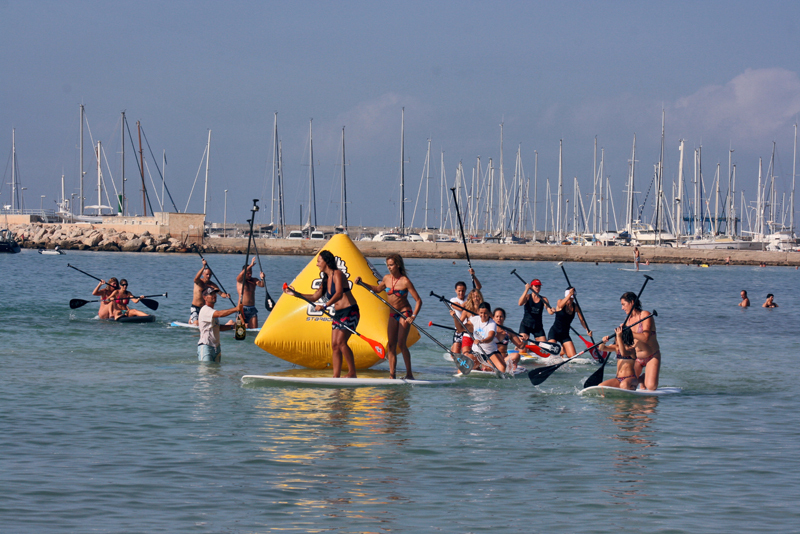 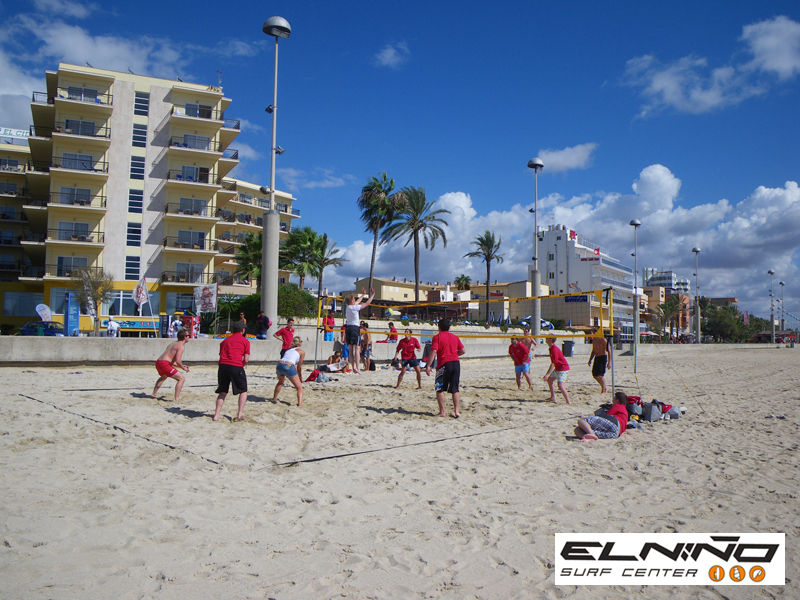 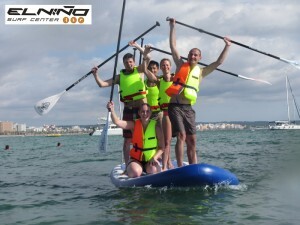 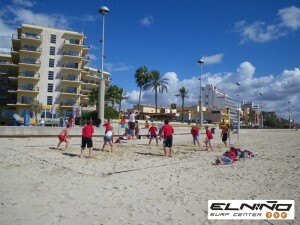 Pack Beach activities: Enjoy a full day at the beach practicing Palma Stand up paddle surfing, windsurfing, beach volleyball and kayaking, all in the same place.